Get our resident experts to help you pick out your next favorite book with reader's advisory, view book lists, or explore some of our staff's favorites. Here you'll find some lists of annual or special awards recipients or a book list that represents a local program. 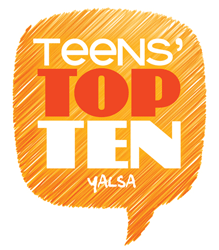 Teens' Top Ten is a "teen choice" list of 25 teen nominated titles for new books. This Summer readers ages 12-18 can read the nominations and vote for their favorites online between August 15 and October 19. The winners are announced the week after Teen Read Week (October 13–19). You can view past winners and nominees in our lists. Don't forget to come back and vote for your favorite! The National Children & Teen's Choice Book Awards is the only national book awards program where the winners are selected by kids and teens of all ages. Explore previous years' winners below! The Great American Read was part of a PBS series to discover what America's favorite work of fiction was. Nation-wide voting produced a ranking order of the top 100 books of the collective American conscious.